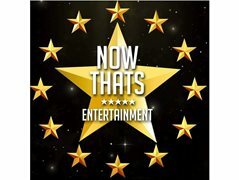 Now thats entertainment is now in series 2 and its an entertainment competition with a difference. THIS! show is all ONLINE! all you do to apply is submit your video and your video is your audition until you make the LIVE! shows and then you appear live but until then your video is judged by judges who specialise in a certain field. Be it comedy magic dancing singing or variety so to apply you can apply on here or just send your video to the now thats entertainment fb page or website. All acts who impress the casting team will be get an email or phone call first week of may! which will be 1st-7th and unsuccessful acts will be told the week beginning 12th till the end of month! GOOD LUCK! Travel and accommodation covered for the successful finalists. You will be the executive producer of series 2 of now thats entertainment and report direct to the CEO. And help head the production team to produce a entertaining second series of NTE!